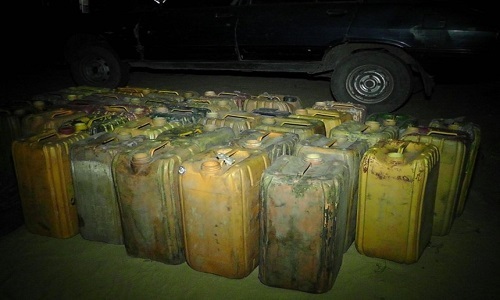 The Jigawa Command of the Nigeria Security and Civil Defence Corps, NSCDC, on Tuesday said it had raided “depots” used by illegal petrol hawkers in Dutse, the capital of Jigawa State. NSCDC said in a statement in Dutse by its commandant, Muhammad Gidado, that the raid was carried out by the command’s Special Task Force on Illegal Fuel Hawking, on November 13. He explained the raid was carried out after the office received intelligence reports on activities of the hawkers. According to him, the raid was part of the command’s resolve to clamp down on illegal petrol sellers in Dutse. He said the suspects, on sighting men of the command, took to their heels leaving behind 47 jerry cans of 25 litres of fuel. Mr. Gidado, however, said out of the 47 jerry cans, only five were filled with Petroleum Motor Spirit, PMS.